Suitable for Citroën Dispatch, Peugeot Expert, Toyota Proace models made from Sept 2016. 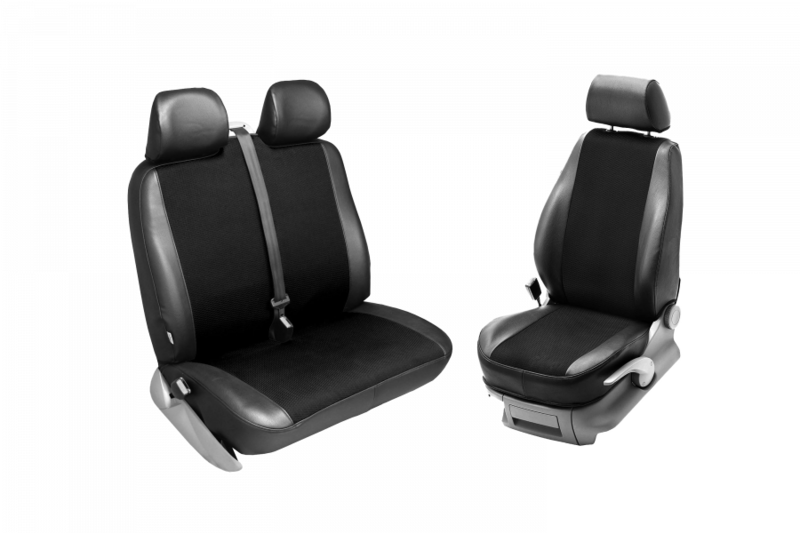 The seat covers are designed for a complete row of three seats incl. Headrest protection. Material: 100% polyester with synthetic leather on the sides. Washable up to 40 ° C, do not use harsh detergents.